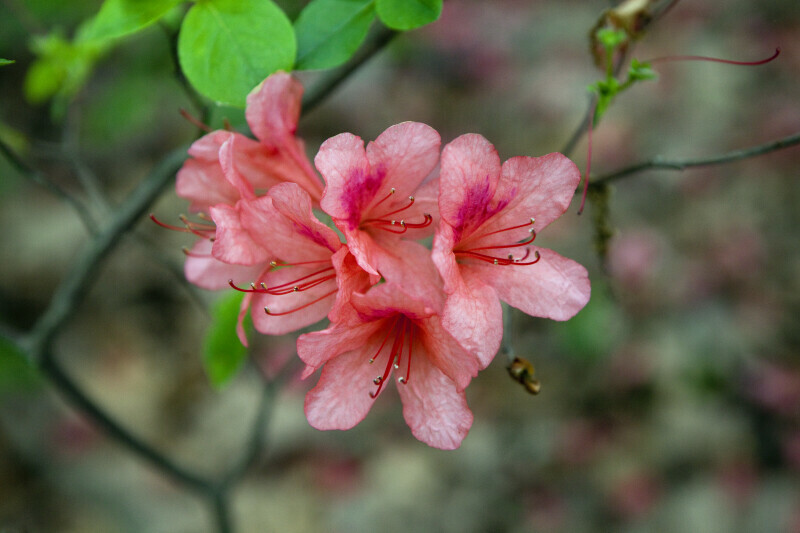 A few torch azalea (Rhododendron kaempferi) flowers with pinkish petals and long, red filaments at the Arnold Arboretum of Harvard University. Torch azaeleas are members of the Ericaceae family. WARNING: You are about to download a 45.9 MB TIFF!